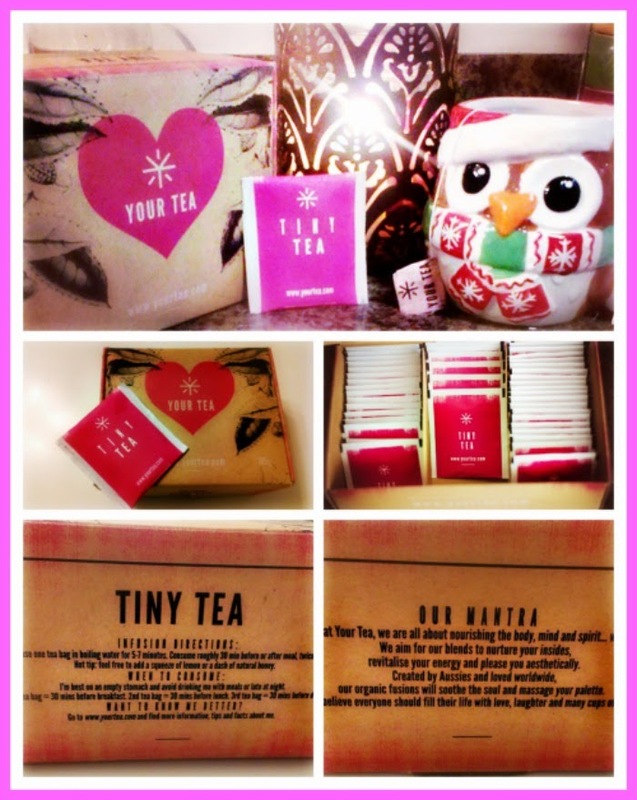 Your Tea Tiny Teatox Review & Giveaway! When Your Tea contacted me asking if I could try this tea out, I was kinda shocked. I am not a huge healthy person and I am not a fan of any detoxes. But I figured out that this tea is not just a normal tea. Its a blend of Chinese herbs that are healing. Your tea offers lots of different kinds for different issues. You can read more about them here. They sent me the 14 day Tiny Teatox that you drink before your meals for 2 weeks. Pretty simple right!? The box came in very quickly. I got it in early December and I waited to try it until we were done with the holidays and traveling. It's a two week process, so I had to take the time to drink it the way it instructed. The box was of great design. It held up well in travel and it wasn't long before I started drinking this tea. I had no idea how my body would handle this tea. One thing to take note of this is the only tea detox that does not give you the laxative effect. But I still wanted to be home before I tried it. The first thing I noticed was the smell of the tea. Do not be afraid of this. It's not your usual blend of sweet teas. It's a bunch Chinese herbs. When I drink this tea, I like to use a little honey to sweeten up the early musty flavor. It's not a taste I love but after a while I got use to it. I also figured out having it sligthly warm instead of piping hot allowed me to drink it in fast gulps...because I am not fond of the taste. But it's not to sit a savor like most. This is a tea designed to help heal your digestive track, reduce bloat, clear up your skin, and give you energy. Get over the taste.. just drink it fast. I found that it helped fill me up being I had it right before meals so I did eat less. It helped a lot with bloating, and gave me lots of energy. I really liked that most. The days I drank this tea, I had more energy than I have had in a long time. I felt better. I lost some inches around my waist. I did not weigh myself ( I never do ) or measure myself but I am happy to report my jeans feel about a size too big now. How awesome is that!? This giveaway will go on until Sunday January 25, 2015 @ 12am. The giveaway is open internationally. All entrants under the age of 18 must have parental permission to enter. One person will win a box of 14 day Tiny Teatox Tea, as I showed in the video. You can enter by following the directions in the Rafflecopter widget posted below. I’ll announce the winner on THIS blog post through the rafflecopter form. I will contact the winners directly through email, as always. Good luck to everyone! You can head over to Your Tea right here to get to get to all their social media.